The Personal Enhancement Center is Opening a Brand New Office in Wall! We are excited to announce that the Personal Enhancement Center is adding a separate location in Wall, New Jersey! Many patients at our main facility in Toms River come from the Wall area, and we are happy to be establishing this newly-built second office for the convenience of current and new patients alike. 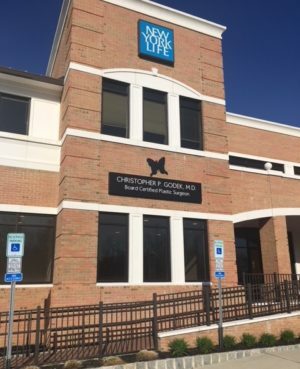 Our board-certified plastic surgeon, Christopher Godek, MD, will be seeing patients at both of our locations for consultations, and you can expect the same level of top-quality care and service. Business hours at the new location will be Monday – Friday, 9:00 a.m. to 5:00 p.m., and all of the services available at our main location will be available from the Wall office. We’ll be announcing the official opening date very soon, and we welcome you to contact our practice with any questions you may have. Whether here at our main location or at the upcoming facility in Wall, Dr. Godek and our entire team look forward to meeting you and helping you meet your aesthetic enhancement goals!